Every day the job of the sales person is getting difficult because of low attention span of customers. Sales people reach out to 1000 prospects and get only limited replies and often get disheartened. We at EasyLeadz too faced this challenges in initial days, that's why we built our own tool EasyBot which can research companies for us, find the right decision makers and initiate a conversation with them over email. Based on our experience of working with many chat support tools I am sharing some effective tips that can help you generate quality leads for your chat support tool business. The reason why recently funded companies are relevant to any chat support tool is that these companies have now money in their bank and they can invest this money in improving their customer support function. Now, if you are a customer support or chat support tool provider then reaching out to these companies can improve your chances of generating a quality lead. If you go to Crunchbase then you can find daily alerts of funded companies globally. The only challenge will be that in their free plan you cannot setup email alerts or download the list. You will have to manually go every day (infact every few hours) to track these companies. The other method of tracking recently funded companies will be setting up Google news alerts. 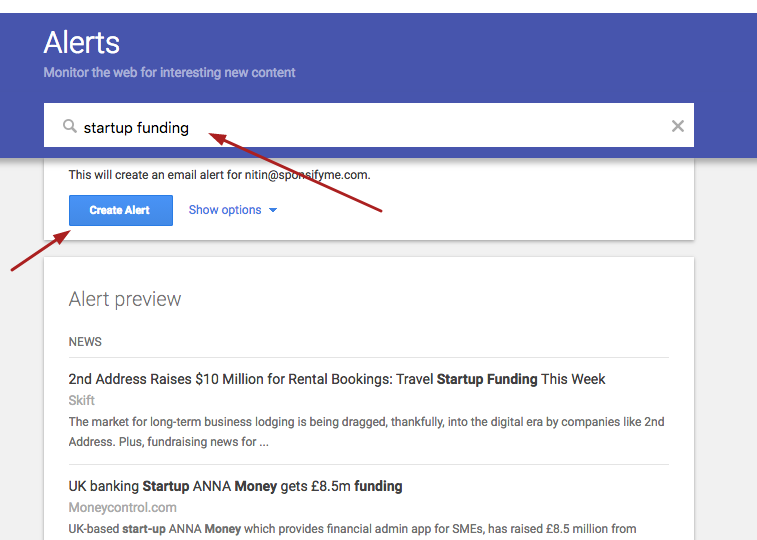 You will receive notifications whenever there is a keyword mention like "startup funding" in google news. The problem with this approach is that you will miss lot of these companies as not everyone gets a news article coverage for their funding announcement. The third approach is using EasyLeadz sales intelligence platform that will automatically track recently funded companies and even find the right decision makers in these companies and reach out to them over emails with a personalised email template that you can edit. You can filter companies based on industry, their headquarters and employee size. There are advanced filters like Ecommerce, SAAS and technology used by the companies. Once you setup an EasyBot - it can literally work like your sales person 24/7 and start finding funded companies daily and reach out to the decision makers over their emails via your connected email account. We use the same method to reach out to B2B companies who have recently raised funding as they will now spend more money on sales and can use tool like EasyLeadz. 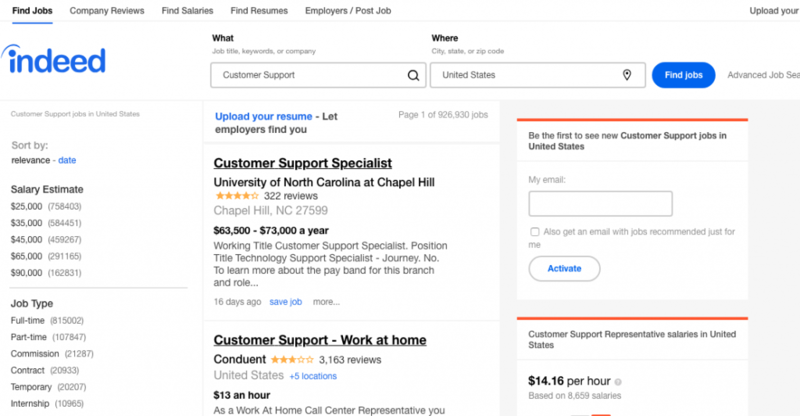 The other effective strategy is to track companies who are hiring for roles that are complementary to your business. In your case a company that is hiring for chat support or customer support or customer service roles are more relevant. Why you should care to track such companies? Its simple. If a company is hiring for customer support than it clearly means they have more need for customer support and this company is already having a budget to afford a person for customer role and is determined to address challenges in customer support function. A company that is already investing money in this function is the one who is more likely to invest money in a tool for customer support. 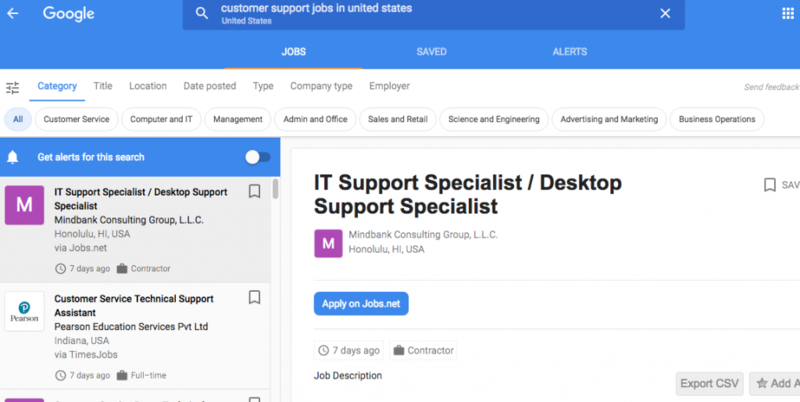 In Google job search enter roles like customer support, chat support and track such companies daily. After tracking these companies you can also use free email finder tools to find the email id's of decision makers in these companies. Reach out to these companies to identify whether they have a need for a chat support tool or not. The challenge will be if you want to further narrow down your search and do it daily then it becomes too much manual work for any sales person to do. The other option is to go to job portals like Indeed or Naukri.com and track companies who are hiring for customer support roles. The challenge will still remain the same i.e how to do it manually at a scale and narrow down your search by size of company, industry of the company, location of the prospects, further advanced targeting criterions like SAAS, Ecommerce and many more options. Third option is to use Easyleadz sales intelligence and automation tool to track companies who are hiring for customer support role and setup an EasyBot to capture those companies daily. Once EasyBot captures these companies it will start finding the right decision makers as per your defined criterion and start reaching out to them over email with a personalised email template added by you. The other targeting criterion is by identifying what kind of technologies your customers are using. By technology I mean if they are already using your competitors chat support tool then you can reach out to them. You can always customise your email campaign based on this particular targeting criterion and include in your email copy more information on how you are better than your competitor's chat support tool. If you have a tool which is similar to Intercom then you can search for which companies are using Intercom already by using Builtwith or EasyLeadz. Once you have that list you can find the right decision makers either over Linkedin or use a free email finder tool like EasyEmail finder. After you have the list then you can start reaching out to these prospects over email and follow up if they don't reply you back. This too can be automated using several tools like Replyup or Mailshake or EasyLeadz. Builtwith is a great tool which can be used for your initial research. The only challenge will be to automate this process because once you have the list of companies after that you will have to apply several other factors like location, job roles, company size, industry, company type in order to narrow down your company targeting. The other option is to use EasyLeadz sales intelligence tool to automate this process of finding companies using Intercom and reach out to the decision makers over email. EasyLeadz will keep tracking such companies and reach out to the right decision makers all by itself thus saving you tons of manual research. Depending on what type of companies are your existing users you can narrow down your search criterion by targeting companies based on their business model and reach out to right prospects. If your chat support tool is used by B2C companies like ecommerce companies then you can track ecommerce companies and reach out to them. If your chat support tool is used by mostly technology companies like SAAS companies then you can just focus on SAAS companies in order to generate more effective leads. This can be further narrowed down by the industry of the company like if your chat support tool is more relevant to fashion based ecommerce companies then you can do that. In order to target ecommerce companies or find list of SAAS companies you can use EasyLeadz sales intelligence tool. EasyLeadz sales automation bot - EasyBot - will automatically find more ecommerce companies and start reaching out to them over email and follow up with consistently to generate more leads on its own thus saving you manual hours you may otherwise spend on researching companies. Thus, the need to do manual research can be eliminated by using sales automation tools or you can still do the same thing manually by using free information providers like Google and generate more quality leads for your chat support tool.